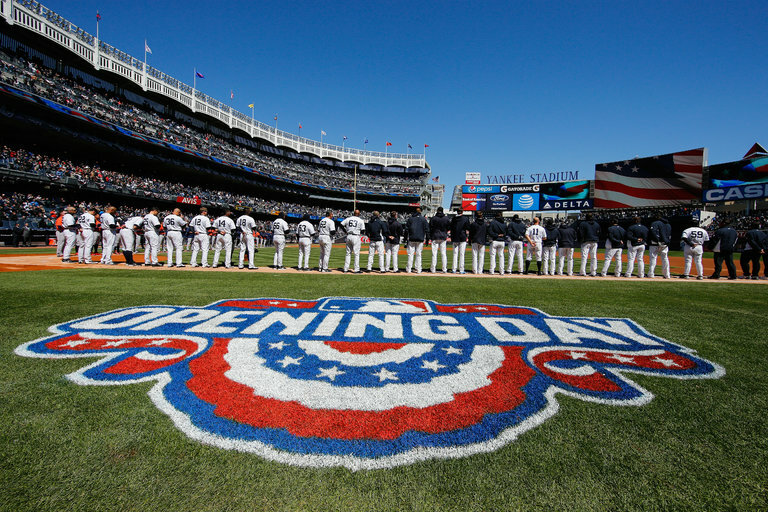 What is the MLB Opening ? Well Opening Day is the first day that the Major League players get to come out on the field since November 1st. All 30 teams will begin play on the same day in 2018, Major League Baseball announced on Tuesday. It is the first time that has happened since 1968. Those games will be played on March 29, the earliest start for domestic games in history. Games have been played on March 30 several times, most recently in 2014. Opening Day will feature eight division match-ups with the 15 games, in addition to the two league contest between the host Tigers and the Pirates. The Yankees will open at Toronto for the first time since 2003, Cincinnati fans will play once again on the actual first day of a season; and there will be a couple of early rivalry match-ups in Giants at Dodgers and Astros at Rangers. When the final out is recorded, the teams that win the opening day games will have stories to tell. The losing teams could either choose to think about the accomplishment of being one of the 30 teams that even get to play in the MLB. They’ll have the luxury of talking about success and failure. Either way a congratulations is in order for the winners. Winning the first game of the season is iconic. If all of the teams played with heart and soul, that can inspire us to become champions of our own.